12 Party Ben – “Another One Bites Da Funk"
Escape Mechanism, Otis Fodder, Jabberwocky, Laso Halo, Lecture on Nothing, LF Peee, Loo & Placido, Mag Wheels, Christian Marclay, Negativland, Osymyso, Party Ben and Hal Wilner. Episode 108 will be up in just a few - check it out! Our feature this week is on Lecture on Nothing - the sound collage project of sound engineer and record producer, Eddie Miller! I've been singing the praises of this project for years and years. I think I found the first CD release by Lecture on Nothing around the same time that I became aware of the Tape-beatles, and have been playing them both ever since. 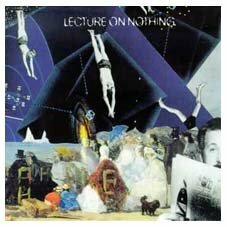 The debut release by Lecture on Nothing is self-titled and was put out by Pop Mafia, in 1997 - though it's interesting to note that it was actually produced in 1990. There was a follow-up single, also released by Pop Mafia, called "Truckload of Bibles," which had a couple of remixes of that particular track off of the debut disc. There's more work to be released and we've played an awful lot of it on Some Assembly Required over the years. 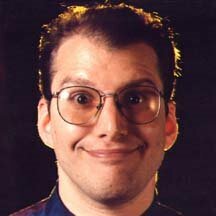 Considering the strength of these recordings, I'm surprised to find so little about the project online, and instead of just repeating everything Eddie Miller wrote below, I'll just wrap up the intro and feel content to be adding more information about Lecture on Nothing to the world wide web. Without further ado, here's the SAR Q&A with Lecture on Nothing! *Tape manipulations, digital deconstructions or turntable creations: The first album was done without any computers or sequencers. A casio fz-1 sampler, cheap (A.R.T.) harmonizer, and a tascam 388 8 track tape machine were used. I mixed down to an early form of digital 2-track (pre DAT), which used a box to convert analog to digital (and vice versa), and a sony beta machine to store the data. I think the one i had was made by akai. All samples were played by hand, which in some ways is quicker, and allows for more experimenting with pitch, rhythm, and harmony. The second album was done much the same way, but I used a computer (Cubase was the software) for a tape recorder and mix down machine, and for some drum loop editing. 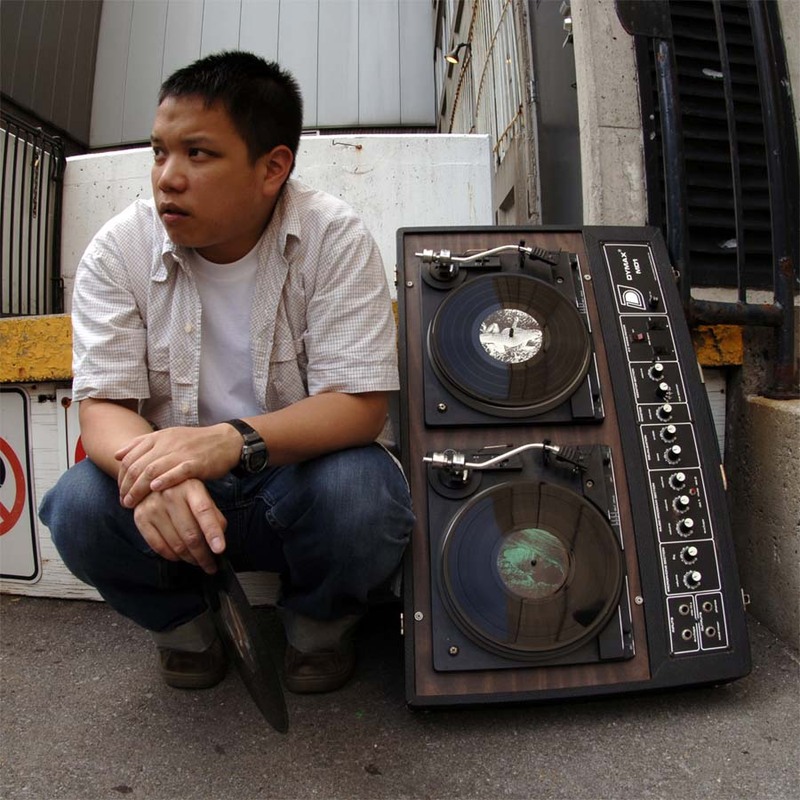 *What is your creative/artistic background: I started my pro career at Paisley Park where I managed to engineer/mix my first records with Prince. It's been an uphill/downhill ride ever since. I started playing in bands as a drummer when I was 8. I decided at one point that I'd try the artist thing, and that I'd do it on my (strange) terms so that if it was successful, I'd really have fun doing it. It took seven years to get the first album released, and I was happy to be able to do it that way. *History: The first album was recorded in 1989-1990 (released in 1997) as a side project to a more conventional band I was in at the time. The other guys in the band - Tom Fleming and Tim Hixon - co-wrote half the stuff on the first album. 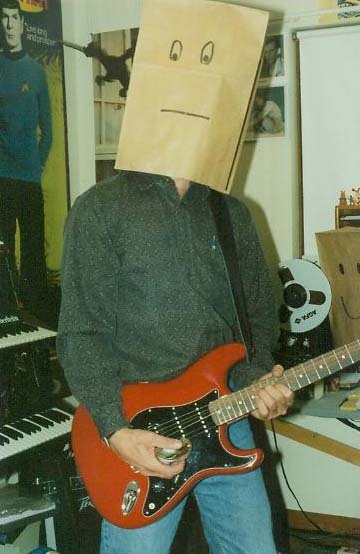 The second album was finished in 1/1999 - just me. I got it ready as a second release for the label I was on at the time, but the label didn't survive. It took about a year to do each record. Very tedious. No computers or sequencers on the first album. *Motivations: Best thing I could come up with in terms of doing my own thing. *Philosophy: Taking at least 3 different musical elements (usually a lot more) to make 1 new one. The vocal pieces I use I try to use melodically - in the way Steve Reich does on "Different Trains." I try to use samples in a very different musical context (harmonic/rhythmic) than they were found originally. I also try to keep the harmony moving - not static. The form of the songs generally follow pop forms. I started doing this kind of stuff with tape loops in the early 80's. Makes me feel old (I'm 43 now...). Thanks to Eddie Miller for being the focus this week - be sure to check out the Lecture on Nothing website, and download Some Assembly Required, episode 108, to hear 13 sound collages by artists from around the world, including a track by Lecture on Nothing, off of their upcoming album. Hope to see you tonight - until then, thanks for listening! This week's feature is on John Schnall, former WFMU specialty show host and creator of a multitude of film and tv-inspired sound collages. Stay tuned for episode 106, featuring a track by Mr. Schnall, along with 13 other sound collages by artists from around the world! First though, let me say thanks to mnartists.org - our newest sponsor! Starting Monday, we will begin working with mnartists.org to promote this labor of love. You can check out their website, every Monday, to download the newest episode of Some Assembly Required, and read a short article by yours truly, providing some insight into each week's foray into the world of tape manipulations, digital deconstructions and turntable creations. I can't imagine keeping better company - mnartists.org has provided an online home for Minnesota artists (and their various communities) since 2002, and is a project of the McKnight Foundation and the Walker Art Center. Thanks to mnartists.org for their support! John Schnall is an animator from New Jersey, who was involved with a great project at WFMU called Midnight Matinee, for over ten years. It was a radio show, mixed live, using samples from primarily film and television. There are tons of mp3s available at his website, if you'd like to learn more about the project, which ran until 1998 at the popular free-form New Jersey station. Without further ado, here's the SAR Q&A with John Schnall of Midnight Matinee! *Name: The project was called Midnight Matinee; it was a radio show that ran on WFMU-fm for a number of years. There’s no band name per se; this show (and the CDs you have) were released under my name (John Schnall). *Are there any additional names used to describe this project: No, not for this project. *Do you use a pseudonym: I’ve been known to record under the name The Opposable Thumb. *Founding Member: N/A; though The Opposable Thumb used to record with Bob Mozart and The Opposable Thumb many moons ago. *Tape manipulations, digital deconstructions or turntable creations: I’d have to say “digital deconstructions,” or more accurately “digital de- and re-constructions.” The show was often, but not always, a combination of dialog clips from a film with ‘music’ made thru samples of dialog combined with or becoming music in some way (using my sampling keyboard). It was a weekly hour-long radio program, so each piece of ‘music’ was made very quickly; there might be 10 or more different ‘songs’ in one week’s show. I’d prepare the film dialog and songs on different audio cassettes at home during the week and put it together live on my one-hour Sunday night slot on ‘FMU. It was a pretty labor-intensive hour. This was before I had a computer; if I were to do it today on my computer it would take twice as long (it’s hard to stop tweaking on computer; on my keyboard it was pretty much done in one or two passes and then I’d quickly move on to the next ‘song’; seemed like more time was spent hooking up cords and patching than actually ‘composing’). *Another genre descriptor: No, but some call it noise. *What is your creative/artistic background: I make animated films. I’ve got a compilation tape (“Death Laughs Among Us”) available at awn.com, and spent the last several years directing “JoJo’s Circus” for the Disney Channel. I do commercial work as it arises; just finished animation on a documentary called "The Last Speakers." And I’m always working on my next film, which right now is an animated adaptation of a one-act play called "The Dead Comic." *History: I started animating in high school back in 1979, had a radio show at Drew University in 1980, started animating professionally in 1983 (various commercials), started with ‘FMU around 1986 and released my first single (a Midnight Matinee precursor, “The Jayne Mansfield Story”) in 1990. *Born: I was born in Rahway, NJ in 1961, grew up in Colonia, NJ until 2nd grade, moved to South Orange, NJ and now live in Bloomfield, NJ. *Motivations: There are some ideas that just sorta keep you up at night until you do them. I like to sleep, so I have to do what I have to do to get those ideas out of there. *Philosophy: In Midnight Matinee, it’s often trying to find some sort of inner truth in something essentially not very truthful (for instance, molding all the times a character says “God” in “Davey and Goliath” into a cover of the show’s theme song). Sometimes it’s taking two disparate things and forcing them together to make them get along (like, for instance, melding “Dark Side of the Moon” with "The Exorcist," or “Einstein on the Beach” with “Beach Blanket Bingo”). Sometimes it’s just plain goofy though; always room for cheese in the diet. In my films it’s more often than not an attempt to get under the surface. Sometimes literally, getting under the skin and letting the bones run around, sometimes more figuratively, as in my last film which was an adaptation of the Bible story “The Binding of Isaac” that pokes around and asks questions not often raised. Thanks to John Schnall for being our focus this week! Be sure to visit his website and stay tuned for episode 106, featuring one of his collage compositions - just one of 14 tracks by sound collage artists from around the world. Then on Saturday, Rosalux Gallery is having its annual fundraising event ("Green," Saturday, August 5, 7-11 pm). It should be a lot of fun, too, with a performance by Beight, and you can buy raffle tickets for just $5 each, to bid on artwork by gallery members (myself included) and/or prizes from local restaurants and shops. Rosalux is located at 1011 Washington Avenue, in South Minneapolis. Check out the Rosalux website for more information.